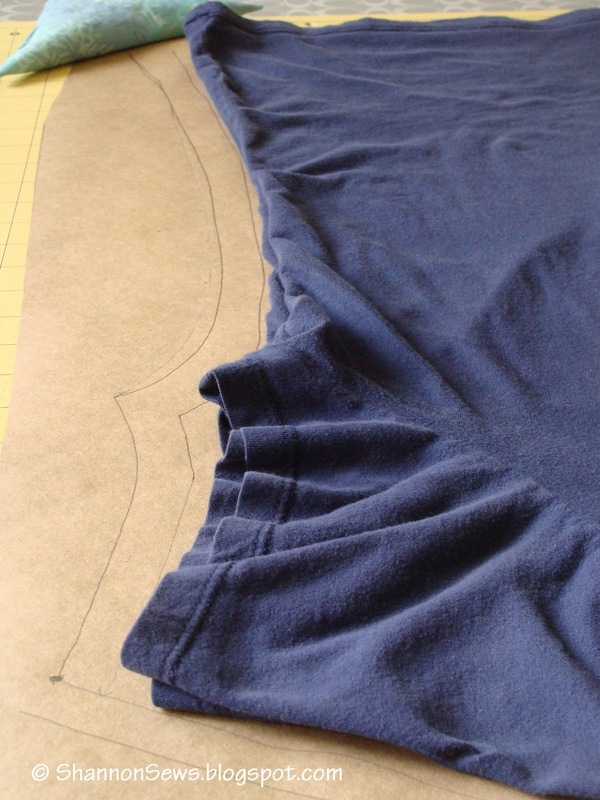 It may seem daunting, but making your own basic shirt pattern is as easy as laying down a t-shirt you like, and tracing around it. Well, okay, it's not really the end, but it really is simple! 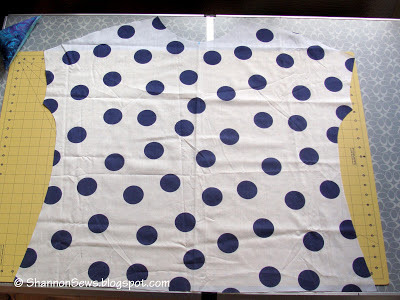 This shirt pattern is the one I used to make my new cute blue and white polka dot summer top. 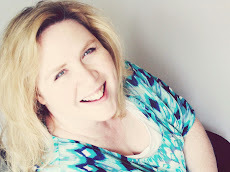 I gave you a sneak peek on facebook, but will share more pictures and details this week! Trace around your t-shirt with a pencil. I made an "actual shirt line" and "with seam allowance line"
*I'm tracing a t-shirt, so keep in mind if you're using the pattern for a cotton shirt you'll need to add a little extra room to account for the difference in fabric and lack of stretch. 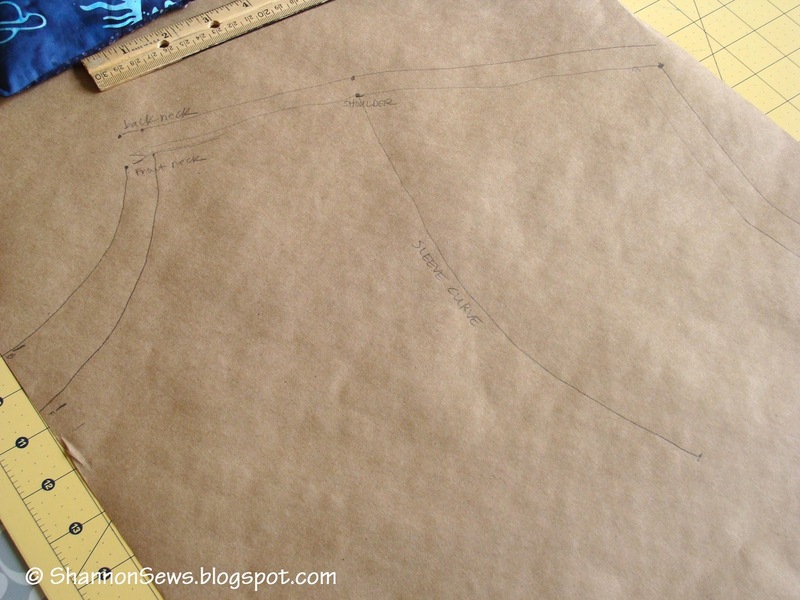 I won't be sewing an in-set sleeve this time around, but I decided to add a sleeve curve line on my pattern in case I ever wanted to. 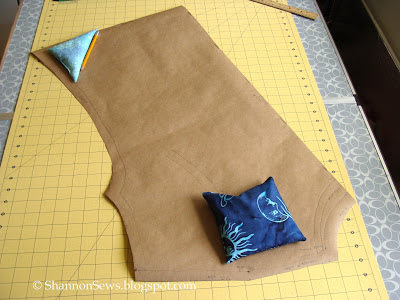 To do this, I tucked the sleeves inside and traced the curve. I traced the back neckline, eyeballed the front, and labeled everything (i.e. 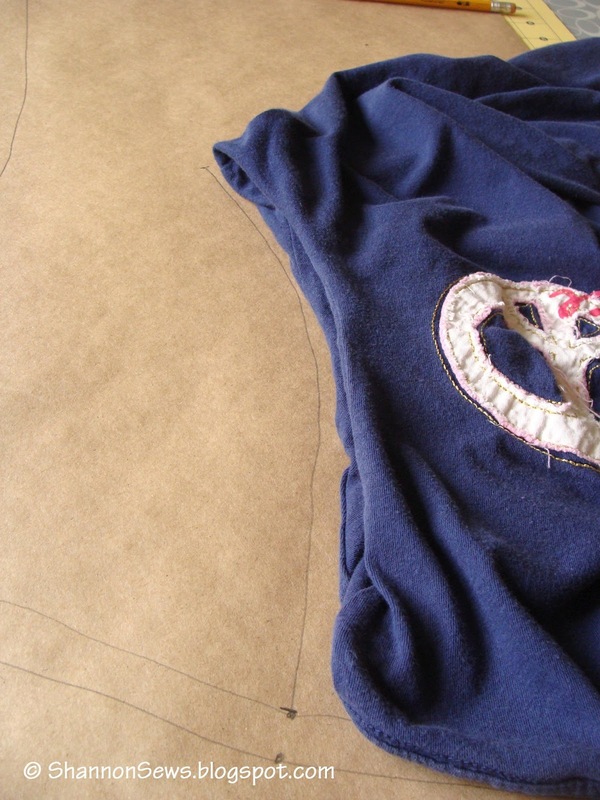 front fold, necklines, shoulder seam, where the sleeve ended, etc). Cut out your pattern along the seam allowance line. 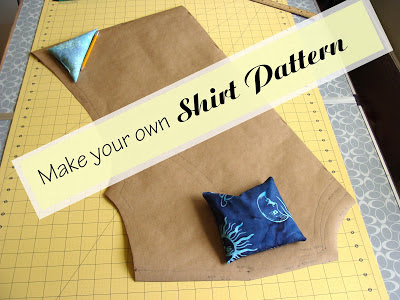 Lay your shirt pattern down on your fabric. 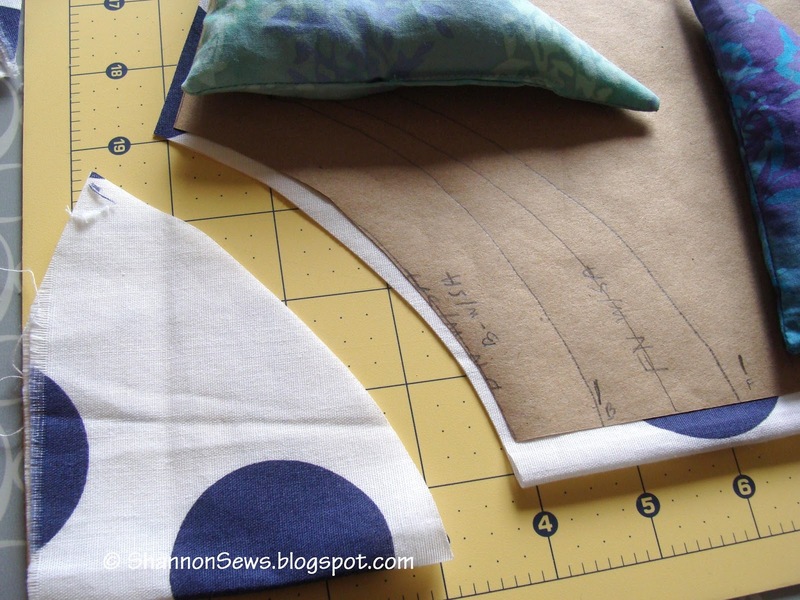 I held down the pattern with easy fabric weights I made, but you can also pin down your pattern. 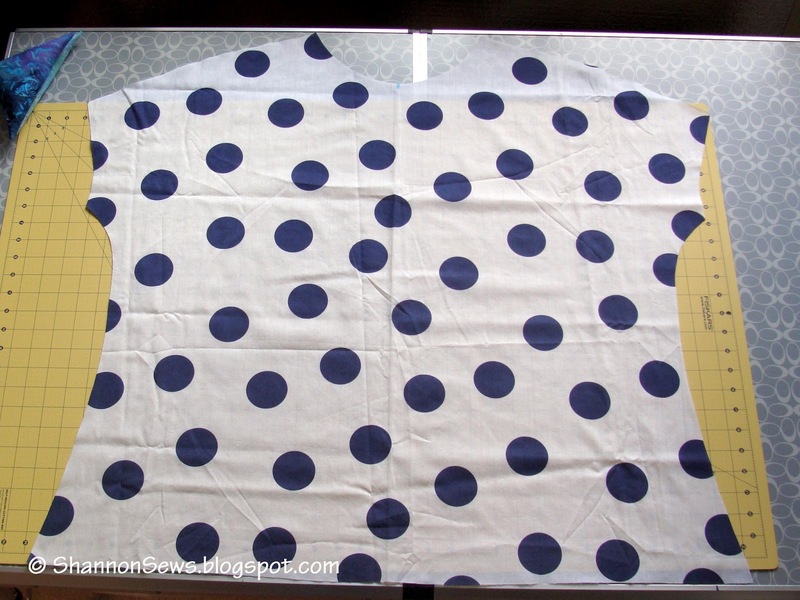 I laid my fabric in half and then turned it under in half so I would be cutting both pieces at once. 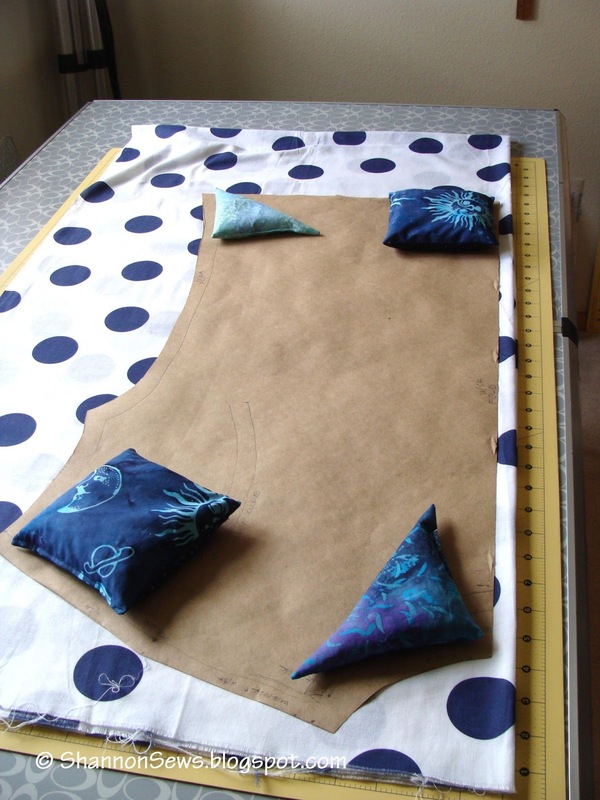 I used a rotary cutter to cut all around the pattern except for the neckline. I gave it a little extra fabric since I'm not using a knit or stretchy fabric. When cutting the necklines, I generally start a little higher to give myself room to cut lower. The back neckline is higher than the front. I removed the 2nd layer of fabric and cut each neckline individually. Here is the start of a cute top, based on my new pattern. 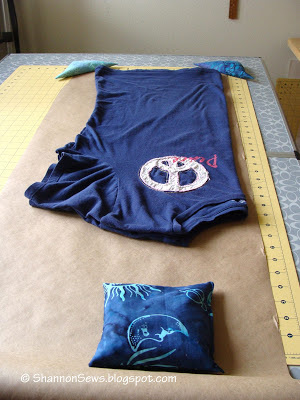 You'll have two fabric pieces for front and back. ⇒ Check back later this week to see how this shirt is put together! This is a great basic pattern for a t-shirt or round / scoop neck cotton top and can be re-used and re-used and re-used with any number of fabrics and patterns. 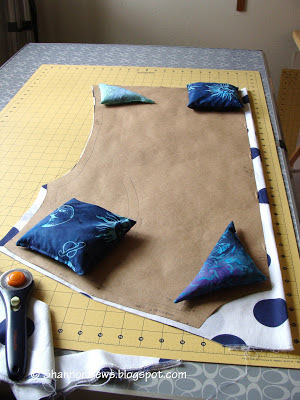 You can also change it up by altering the neckline, adding darts, sleeves or a different hemline for some variety. Thanks for the visit and have a nice week. Thanks so much for stopping by and for your sweet comment Anna! What a great tutorial! I've been doing this for a while, but it's always good to have a step by step guide for reference. I'm pinning it to my sewing board! And I'm also your newest follower on GFC!